As with all our furniture, our bunk and loft beds are all unique and are created one at a time with each piece measured, cut to fit, then hand sanded resulting in a superior fit and finish. To finish our bunk beds, we spray a waterbased polyurathane as it is more durable than a lacquer and will not "yellow" as a lacquer will over time. Sure it takes longer to build a bed this way, but we feel the end result is well worth it. While there are "cheaper" beds out there, we believe you will not find any of higher quality and feel our bed, as well as our entire furniture line, will give you the best value for your money! 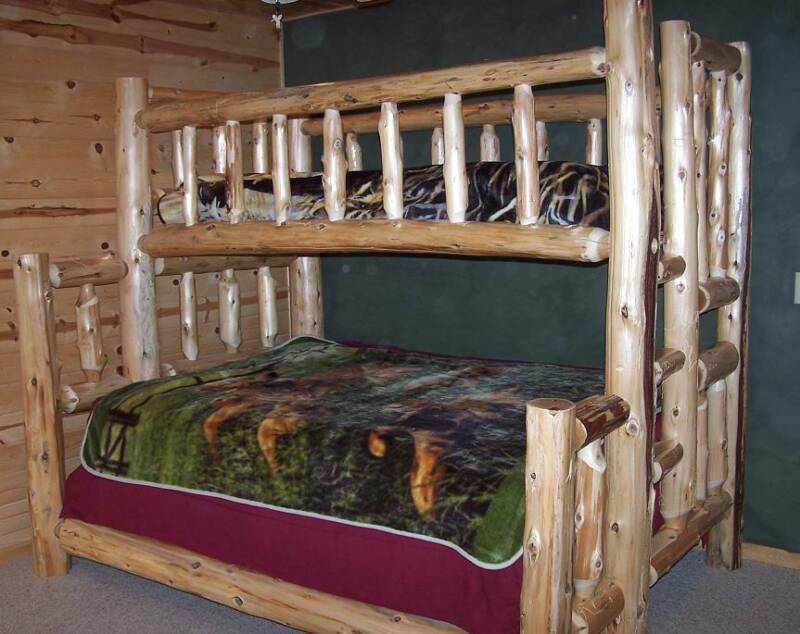 All bunk beds are complete with head and foot board, full log rails, slats and hardware for easy setup. 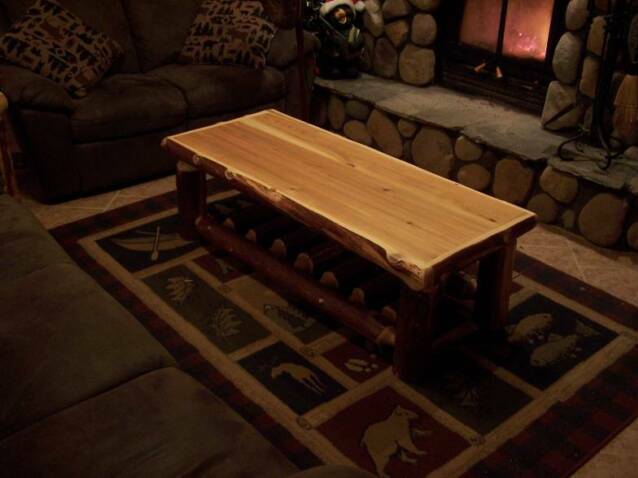 Our log head and foot boards carry a lifetime warranty. Contact us for details. 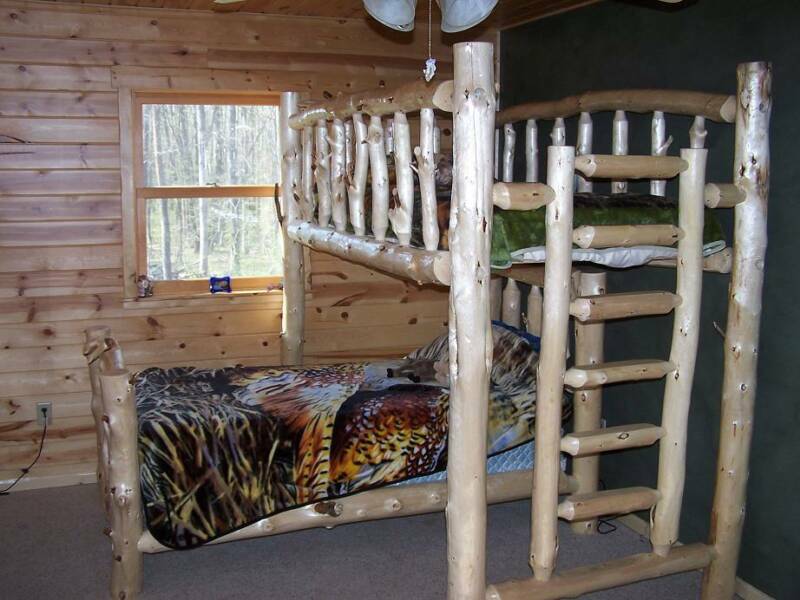 Ladder orientation needs to be specified "left" or "right on bunk beds with differing top/bottom sizes. This configuration gives you the optimum amount of flexibility for your home or cabin. For the sake of example, the bed pictured is a ladder "right". 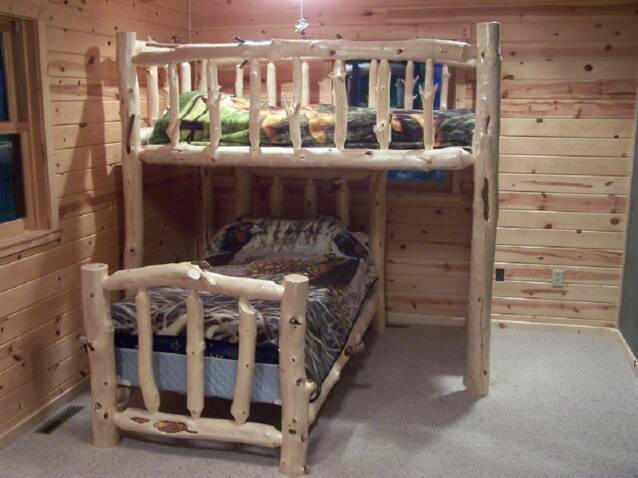 As with many of our other furniture pieces, our bunk beds are also available in a "bark-on" style. 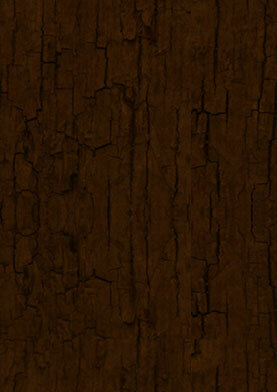 An example of that style can be viewed here. Pricing on our "bark-on" bunk beds are as follows.